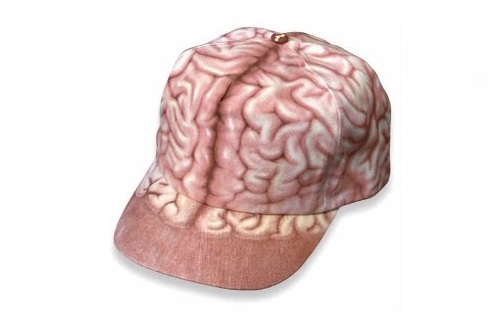 Colorful, anatomically correct brain on the cap - flip up the brim and expose the words,"Think, Think, Think..." when you need extra brainpower. 100% cotton. One size fits all.